The Alabama Community College System is an integral member of Alabama’s workforce development team. We are proud of partnerships with leaders in the private and public sectors across the state who aim to move Alabama forward. From the important work alongside our partners in AlabamaWorks to achieve Governor Kay Ivey’s Success Plus goal of adding half-a-million high-skilled employees, to Alabama’s workforce by 2025 to partnering with business and industry to provide the education and training they need locally to prepare their existing and future workforce, the ACCS is essential. Learn more about our partner’s across Alabama, below. Alabama Community College System is proud to be an Alabama Works partner. 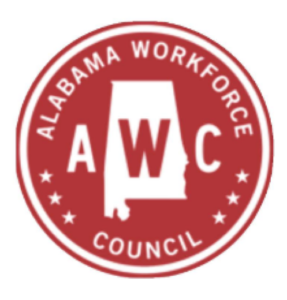 In the fall of 2015, the Alabama Workforce Council undertook a statewide effort to understand the structure, function, organization, and perceptions of the Alabama workforce system. The results showed that Alabama is endowed with a plentiful state, educational, business support and other service organizations that provide training, placement and informational resources that could better serve business, industry and the public if they were organized in an effective network and unified under a common vision, mission and brand. This new and unified system resulted from hundreds of hours of input from the workforce and educational professionals, industry leadership, families and students. Thousands of Alabamians participated in-person and online in developing the charter for AlabamaWorks. AlabamaWorks stands for opportunity, innovation, accountability and inclusion with the vision of a better future for Alabama in which communities, business, and industry are supported in a collaborative process to build prosperity through the opportunity of meaningful work and a growing economy. The mission of Alabama Works is to recruit, train, and empower a highly skilled workforce driven by business and industry needs and to be the competitive advantage for Alabama’s economic growth. Created at the recommendation of Governor Bentley’s Career Readiness Task Force to foster collaboration between government, industry and education, the AWC is comprised of educators and business and industry executives from throughout the state tasked with ensuring that all Alabamians have the capacity to pursue their educational goals and realize long-term career opportunities. 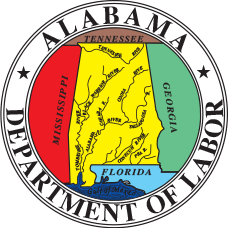 The Alabama Department of Commerce consists of the Business Development Division and the Workforce Development Division. Its mission is to attract new business and to support our existing businesses in achieving and sustaining success. Whether you are an employer starting a new business or an existing employer, the Alabama Department of Labor will help you find the resources and information that you need to succeed. 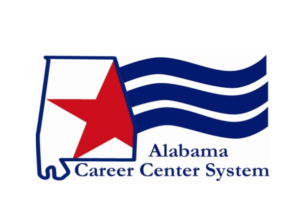 The staff members in the Alabama Career Centers near you have services and resources to help both employers and job seekers. Whether you are an employer or a job seeker, Alabama Joblink is your online portal to services offered through the Alabama Career Center System. 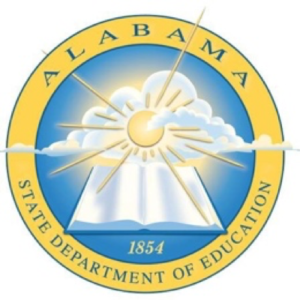 This division of the Alabama State Department of Education is focused on helping students achieve success through leadership development, career awareness, and academic excellence. This division also provides service to Alabama’s teachers, education administrators, and counselors through professional development that works to further K-12 student achievement and project-based learning.